To find the best Cheap Travel Vacation Deals and other cost-cutting trip ideas anywhere in America, visit the links shown below. Or scroll down to gather some cost cutting techniques for traveling to and within the state of Arizona. With just a little imagination, it is possible to find low-cost accommodations, fun, free activities, fine regional cuisine, and other local treasures that don't cost a fortune. Believe it or not, you can still get a basic, clean hotel room in Arizona for less than $20 a night. Even certain upscale accommodations cost under $100 a night. Here are some handy tips for a Cheap Travel Vacation in Arizona. 1. Go to Priceline and select the "Name Your Own Price" feature to grab the lowest room rates. Simply visit Priceline, search your desired dates and destination, then click the "Name Your Own Price" option. Doing this can save you up to 40% on your flight, and up to 60% on nightly room rates. For example, your itinerary is fixed, and no part of your payment can be refunded. 2. When visiting big cities, stay in smaller nearby towns whenever possible. For instance, if you visit Phoenix, you may find it cheaper to stay in a smaller, nearby city such as Chandler, Mesa, or Surprise. Then rent a car or take public transportation to get where you want to go. 3. For maximum savings on your cheap travel vacation to Arizona, book your flight and your hotel room at least two weeks in advance. When searching flights on Priceline, compare prices for all major airports accessible from your area. You might be able to save some money by landing at certain airports, then taking ground travel to your desired destination. Accessible airports in nearby states include Las Vegas, just across the border in Nevada. From there you can take a Greyhound bus to your chosen Arizona destination. Arizona is served by the Greyhound Lines. Greyhound Stations are located throughout the state, with well over three thousand stops and stations nationwide. You can also catch one of Arizona Amtrak's connecting buses at Camp Verde, Grand Canyon National Park, Phoenix, or Tusayan. 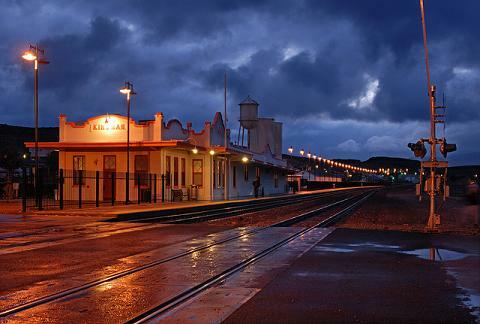 Just east of the Arizona border are New Mexico Amtrak stations at Gallup and Lordsburg. Also, an Amtrak bus stop is located just north of the state border in St. George, Utah. 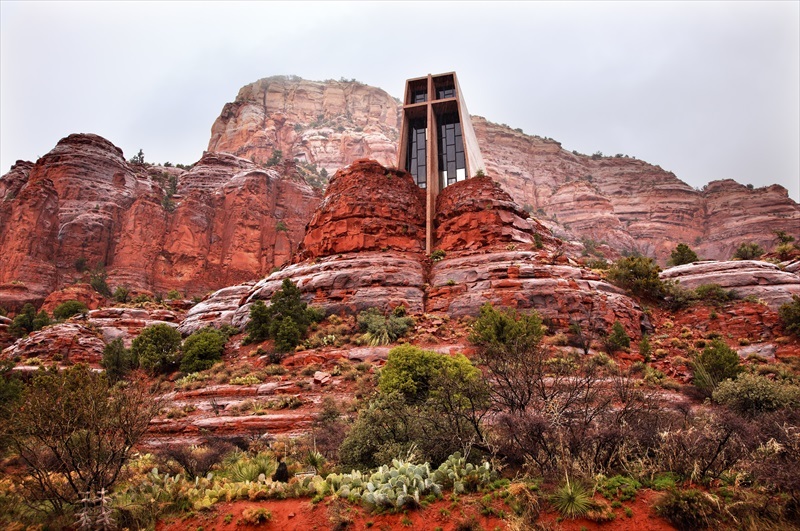 Here's a list of the top 10 Arizona attractions, specially selected by USLearning.net.